This week on EntreArchitect Podcast, The Entrepreneur Architect Series featuring Nathan Buhler. Nathan is an Architectural Technologist and the owner of BLDG Workshop in Toronto Canada. He grew up in a logging community in British Columbia and lived overseas in South America. His creative experiences drew interests to architecture. When design became the main focus of his work life, Nathan’s themes relating to connection, authenticity and people became integral to his work. 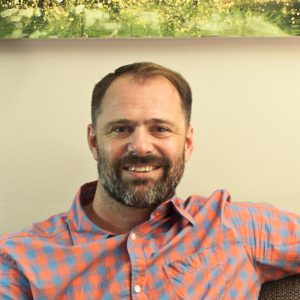 From the small logging community in British Columbia, Nathan went to Bible school training in Vancouver and worked in ministry and counseling for many years. He felt like he was around people all the time but was still feeling alone. Nathan was always searching for something different. When he heard of a guy who built a house on top of waterfall (Frank Lloyd Wright’s Fallingwater), he knew he wanted to go to architecture school. He went to architecture school at 30 years old, and felt a little like a fish out of water with all the students that were younger than he was. Nathan completed his schooling on a different route and has a different certification. Nathan had an idea for a design of a house that would stand as a silhouette of a house against a landscape. He wanted something that was connected with the design community. Nathan connected with a furniture designer and they changed the typology of how to do the project. With this project, Nathan felt like the story of what they were doing was fluent from start to finish; through the big picture and construction. At one point, it felt like projects weren’t coming in; things were looking bleak. One of Nathan’s partners went to do something else, and he had to lay another staff member off. It wasn’t a market-driven slowing down, Nathan felt he just got left behind when people were looking for someone to do their home. He read an article about cash flow and, when he worked through the numbers, he realized he needed to bring in a lot more work to keep things going. Unfortunately, he didn’t feel like he was taught that kind of stuff in school. Now, he’s worked through most of that. A little over a hear ago, Nathan looked at their placing on Houzz and they were #1. He thought it was a glitch, but it hasn’t changed. It felt like a day of fruition after working so hard on their metrics to improve on all the things that Houzz is rating you on. Nathan’s firm smiles a lot in client meetings. It comes through as though they’re going to enjoy the process of building. Additionally, most people they work with are makers who like working with their hands instead of just clicking away on AutoCad. What’s the best advice you’ve ever received? Work on your business rather than in your business. Push the same level of care and diligence when you work on your business. What’s one personal habit that contributes to your success? Smiling a lot! Connect with Nathan online at BLDG Workshop, Twitter or Houzz. If you want some help improving your Houzz profile, get in touch with him there! Thanks for having BLDG on the show. It was great to hear about this company and their particular path to success. Just a note though that Nathan – as he tried to disclose – is an Architectural Technologist and not an Architect. In Ontario, that isn’t the same thing as a professional and licensed Architect. In Ontario, an architectural technician completes a two year college education (not university) and have limited professional and regulatory obligations. There are no license exams, no professional designation or Certificate of Practice requirements. The ability to name his company even BLDG would not be allowed for an Architect licensed under the Ontario Association of Architects (OAA) unless it was the initials of the members of the firm. His decision to bill hourly would not be supported by the profession as it would be seen a undercutting other Architects and this is a huge problem for the profession right now. Also, I am guessing that the use of HOUZZ works for this type of company as the majority of the work is of a smaller scale and budget. HOUZZ hasn’t proven to be a good platform for professional Architects as many of the referrals, despite HOUZZ’s claims, are not the high end custom architecture work that requires a full professional architecture fee. Thanks so much for this podcast! (Please be careful referring to Nathan as an Architect and having an Architecture firm. In Ontario, a technologist is not able to call themselves an Architect. I know of interns who have been reprimanded by the Ontario Association of Architects for using Architect before they are fully licensed.) Thanks again! Thank you for clarifying the differences between a licensed Architect and an Architectural Technologist. We were unaware of the facts. I appreciate that you are listeners and care enough to contribute your knowledge to the community. Correct, I was careful to clarify BLDG Workshop gets it Designer designation through the Ontario Building Code. The discussion has nothing to do with architectural technologists/technicians (which we are not), but rather to whom The Building Code Act and The Architects Act give the right to offer design services to the public. At the scale/use we work at, those statutes confer the same rights as Architects registered through the OAA. As a result, in our opinion, the discussion becomes more about who is doing great work. We’ve got a long way to go before we’re doing work as great as some of the best Ontario Architects, but we’re working hard to be pointed in that direction! Nathan, thanks for the follow up. I enjoyed our conversation and encourage listeners to hear the value you are sharing in the episode. It truly was a highlight in our firm’s young history Mark. All the best and let’s talk again soon!